Dunee Bed and Breakfasts. Compare latest rates and Live availability for all your favourite places and places you have always wanted to go using our new My Shortlist feature. Click + to add to your Shortlist. 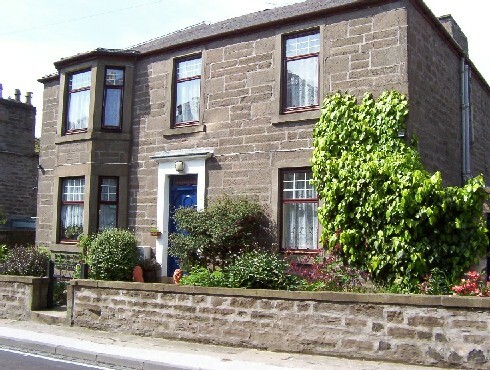 Bed and Breakfasts in Dundee for 1 night from Sun Apr 21, 2019 to Mon Apr 22, 2019 within 50 miles, in an Average Nightly price range of £1 to £200. Set within 5 beautifully restored period buildings, one of which dates back to the 16th century, this unique hostel offers a selection of private rooms on Dundee's bustling High Street. Centrally located, the Dundee Backpackers boasts the pedestrianised centre, with numerous shops, restaurants, pubs and clubs, right on its doorstep. Within walking distance you can visit popular attractions such as Discovery Point, Dundee Contemporary Arts Centre and McManus Galleries. Furthermore, the bus and train stations are both within a 5-minute walk of the hostel. Each building reflects the style and character of the time in which it was built. There are feature fireplaces, plaster cornices and windows of all shapes and sizes. All of the buildings even have their own little â€˜museum' full of information and artefacts from the buildings' history. Boasting a bar and free WiFi, Hotel Indigo - Dundee is situated in Dundee, 1 km from Discovery Point. Around 1.4 km from University of Dundee, the property is also close to Dundee Central Library. The property is located 400 metres from Wellgate Shopping Centre. The rooms in the hotel are fitted with a flat-screen TV. The private bathroom is equipped with a shower, free toiletries and a hair dryer. All units at Hotel Indigo - Dundee include air conditioning and a desk. A buffet, Full English/Irish or vegetarian breakfast is available each morning at the property. There is an on-site restaurant, which specialises in British cuisine and also offers gluten-free options. The reception at the accommodation can provide tips on the area. St Paul's Cathedral is a 7-minute walk from Hotel Indigo - Dundee, while Abertay University is 700 metres from the property. The V&A Dundee is located 1.5 km away. The nearest airport is Edinburgh Airport, 63 km from the property. Located in Dundee, 1.3 km from Discovery Point, Staybridge Suites - Dundee features a fitness centre and a shared lounge. The property is set 2.2 km from University of Dundee. Local points of interest like Dundee Central Library and Wellgate Shopping Centre are reachable within 600 metres and 600 metres, respectively. Guest rooms come with air conditioning, an oven, a microwave, a kettle, a shower, free toiletries and a desk. Featuring a private bathroom, rooms at the hotel also provide guests with free WiFi. The rooms have a wardrobe. The daily breakfast offers continental, buffet or Full English/Irish options. Languages spoken at the reception include German, English and Spanish. St Paul's Cathedral is 700 metres from Staybridge Suites - Dundee, while Abertay University is 1.1 km from the property. The nearest airport is Edinburgh Airport, 86 km from the property. A modern hotel in central Dundee with breakfast included and free WiFi. Holiday Inn ExpressÂ® Dundee hotel, in the centre of town, is a quick 5 minute walk from Dundee railway station and the new V&A Dundee museum located next to the Discovery Point, where a ship that sailed to Antarctica, Captain Scott's RRS Discovery, is now a fascinating museum and visitor centre. Each modern room features satellite TV, work desk, tea/coffee making facilities and en suite facilities.Guests can relax with a drink in the bar or watch TV sports in the stylish lounge. The hotel is less than half an hour's drive from the world-famous St. Andrews & Carnoustie golf courses. The Caird Hall is 230 metres away, while Broughty Castle Museum is 6.5 km away from the Holiday Inn ExpressÂ® Dundee. The nearest airport , Dundee Airport, is located 4 km away from the property. Featuring free WiFi, Aabalree Guest House offers accommodation in Dundee, 300 metres from Discovery Point. Each room is fitted with a flat-screen TV and DVD player. You will find a kettle in the room. There are 2 shared showers rooms and 2 shared toilets, per landing of 5 rooms. You will find luggage storage space at the property. University of Dundee is 600 metres from Aabalree Guest House, while Abertay University is 500 metres from the property. Edinburgh Airport is 62 km away. Located just 100 metres from the riverfront and 300 metres from the V&A Dundee, Malmaison Dundee provides stylish, boutique accommodation in the heart of the city. Free Wi-Fi is accessible throughout. Located in the former premises of the famous Tay Hotel, Malmaison Dundee is a beautifully-reconstructed building. With a mixture of historic character and modern flair, the property has all the facilities for a comfortable stay. Each stylishly furnished room has an en suite bathroom with a power shower, moody lighting and a flat-screen TV. Rooms come complete with a hairdryer and tea and coffee making facilities. The hotel has its own cosy brasserie and Josper Grill, open for lunch, dinner and Sunday Brunch. The hotel's Malbar venue has a comprehensive list of classic and quirky cocktails, wines, ice cold beers and whiskys. The hotel is 500m from Dundee railway station. The shops, pubs and restaurants of Central Dundee are within a 10-minute walk. Situated just 400 metres from the University of Dundee in Dundee, Hampton by Hilton Dundee welcomes guests with a restaurant and bar. Free WiFi is available throughout. Each room has an HD flat-screen TV, tea/coffee making facilities, ironing facilities and a laptop-size safe. A complimentary hot breakfast is offered to guests. There is a 24-hour front desk at the property. There is a business centre onsite and meeting rooms are available. Guests can make use of the 24-hour fitness centre. Bernard King Library is 300 metres from Hampton by Hilton Dundee, while Verdant Works is 400 metres away. The V&A Dundee is located 1 km from Hampton by Hilton Dundee. Edinburgh Airport is 62 km from the property. Luxurious and chic, these modern apartments are situated in the very centre of Dundee with scenic city and river views. With free parking, guests can relax with cosy bathrobes, a DVD player, and leather sofas. The spacious living areas boast stylish furnishings, modern wood floors, and a glass coffee table. Each apartment enjoys excellent views of the River tay or Law Hill, while some also boast balconys. Living areas also include a flat-screen TV and free Wi-Fi access. Fully-fitted kitchens include an oven/hob for self-catering, along with a microwave, toaster, and fridge/freezer. Guests can also make use of a dishwasher, washing machine, and kitchen utensils. Sleek bathrooms at Westport boast luxury toiletries, slippers, and fluffy towels. Free parking is available, and Dundee University is only 2 minutes' walk away. Dundee's central shops , including the Overgate and Forum shopping centres, are only a 5-minute walk from the apartments. V&A Dundee is 950 metres from the property. Dundee Rail Station can be reached in a 10-minute walk. Sleeperz Hotel Dundee is a 120-bedroom hotel located directly above Dundee Railway Station in the city centre, and directly opposite the V&A Dundee. Guests can enjoy views over the nearby V&A Museum Dundee, the River Tay and onto the Waterfront Plaza. The rooms are air-conditioned, with free WiFi and Sleepeezee mattresses. Each room has a private bathroom with a shower. Sleeperz Hotel Dundee features a lounge bar and a modern restaurant, offering a breakfast and all-day menu. Guests can relax on sofas in the lounge, which serves teas, coffees and pastries in the morning, and wines, beers and spirits in the evening. The property is around 600 metres from University of Dundee, a 3-minute walk from St Paul's Cathedral and 500 metres from Abertay University. The nearest airport is Edinburgh Airport, 62 km from the property. In the heart of Dundee's bustling city centre and 750 metres from the V&A Dundee, Best Western Queens Hotel offers spacious rooms with free WiFi. With an on-site restaurant and free parking, Dundee Riverside Airport is 5 minutes away. The modern rooms at Queens Hotel are elegantly decorated with rich fabrics and colourful cushions. All rooms have an en suite bathroom, satellite TV and tea and coffee facilities. QBAR at Queens Hotel serves light lunches, snacks and evening meals. The cosy Cafe Bar offers a selection of classic cocktails and morning coffees. The Best Western Queens Hotel Dundee is just metres from The University of Dundee campus. Located near Dundee city centre, Craigtay Apartment Hotel offers rooms with contemporary design and on-site private parking free of charge. The property benefits from free WiFi in all rooms. Rooms at Craigtay Apartment Hotel come with a TV, a writing desk and tea and coffee making facilities. They also comprise a private bathroom fitted with either a bathtub or a shower and a hairdryer, and free toiletries are provided. Some rooms are equipped with cooking and laundry facilities. The centre of Dundee with its many pubs, cafÃ©s and historical landmarks is a 15-minute walk away. Aberdeen is 66 km from the accommodation and Edinburgh with its international Airport is located 62 km away. Dupplin152 is a 4 star Bed & breakfast set in Dundee. The property is around 2.4 km from Discovery Point and 1.8 km from University of Dundee. All units in the bed and breakfast are fitted with a Smart TV with satellite channels. The en suite is equipped with a shower and free toiletries. All rooms will provide guests with tea and fresh coffee making facilities. The Full Scottish breakfast as well as continental choices are served daily at the property. Evening meals and packed lunches are provided. Edinburgh Airport is 62 km away. A 15-minute walk from the centre of Dundee and a 20-minute walk from Dundee Rail Station Alcorn Guest House offers free Wi-Fi and rooms with free toiletries. br / br / In the morning guests can enjoy continental breakfast. Cooked breakfast is also available upon request at an additional charge. br / br / Each bedroom has carpeted floor a TV and tea/coffee making facilities. 2 of the rooms share bathroom facilities. br / br / Ninewells Hospital and Dundee Airport are a 5-minute drive from Alcorn Guest House while Perth is just over 30 minutes drive away. br / br / br / br / Full cooked Breakfast is available as an extra. The Dundee Carlton overlooks the Firth of Tay and has views of Broughty Ferry Castle. It is 33 minutes' walk from Dundee town centre and offers free Wi-Fi and free on-site parking. Some rooms have views of the River Tay and the Castle, and all have a flat-screen TV and en suite bathroom. Some rooms have a seating area. St Andrews and Carnoustie golf courses are easy to get to, as are the Mills Observatory and Sensation Science Centre. The hotel is less than 2 miles from Dundee Railway Station. The Dundee HSFP Rugby Club is a 5-minute walk from the hotel. The V&A Dundee is 3 km away from the property. The Dundee Carlton offers stunning views over the River Tay nine quality refurbished rooms and Sunny's Restaurant which is enjoyed by many of our locals here in Dundee The Dundee Carlton gives you the quality and comfort demanded by today’s discerning guest with a central location to explore Scotland. The Dundee Carlton Hotel is ideally located between Dundee City Centre and Broughty Ferry. Situated just off the A92 and with many nearby public transport links we are within easy reach of Angus Fife Perthshire and the rest of Scotland. We are less than 2 miles away from both Dundee Train Station and Seagate Bus Station and local buses service the surrounding area of the hotel. Due to this we can assure you that you will be able to enjoy all that the area has to offer with little worry. br / br / br / br / Nearby attractions include both the St Andrews Old Course and Carnoustie Golf Links which are both around a 20 minute drive from the hotel. Attractions within Dundee are even more easily accessible and include RRS Discovery the Mills Observatory and Sensation Science Centre as well as many more. br / br / br / br / Rooms at the Dundee Carlton are either currently under renovation and refurbishment or have been newly finished in order to create a spacious light and calm atmosphere for your stay with us. We have a range of different rooms available including twin rooms for friends doubles and kings for couples and larger family rooms which can accommodate 3 or 4 people. Some of our rooms boast views over the River Tay and of Broughty Ferry Castle. All of our rooms are en-suite with either a shower or shower/bath combination and also include flat screen TVs with FreeView channels complimentary toiletries and drink making facilities. br / br / br / br / We currently offer all accommodation based on room only booking as we do not serve any breakfasts or meals. Errolbank Guest House is a Beautiful & Clean Bed & Breakfast situated at the popular and safe residential area of Dundee with on site free parking. We are within a short distance to the City Centre world class golf courses of St Andrews and Carnoustie both universities hospitals main shopping and entertainment areas restaurants pubs and banks. Wheather it's business or pleasure that brings you to Dundee we are able to cater for you. Just 5 minutes' drive from the centre of bustling Dundee, Errolbank Guest House offers light, cosy rooms with free Wi-Fi. Guests can enjoy views of the River Tay. Airy and modern, each room at Errolbank features an en suite or private bathroom, a TV, and a welcome tray. Guests can also make use of tea and coffee-making facilities in each room. Free parking is available, and Dundee Rail Station is just 5 minutes' drive away. Broughty Castle can be reached in less than 10 minutes by car, and St. Andrews and Carnoustie are both a 25-minute drive away. The V&A Dundee is 3 km away from Errolbank Guest House. Set in private wooded grounds overlooking the River Tay, the Best Western Invercarse Hotel is a former mansion house that offers a convenient base for Dundee and the surrounding area; it has all the benefits of a city centre hotel, being within a five-minute drive of the city. The 68 en-suite bedrooms are peaceful and private and have all the contemporary comforts you would expect including free use of WiFi for residents, and media hubs are provided in some of the rooms. The ideal location for both business and leisure - it is the nearest hotel to Dundee Airport and Ninewells Hospital. The V&A Dundee is 4 km from Best Western Invercarse Hotel. There is free parking spaces at the property, which includes 6 electric charging points for residents. Public transport stops are located outside the hotel driveway, which offers a regular service to Dundee city centre. Balmuirfield House is a Bed and Breakfast offering luxury accommodation on the outskirts of Dundee. With one foot in the city and the other in the country, it is a peaceful haven to rest and relax whilst visiting the city of many discoveries! Our Dundee hotel is minutes away from the fabulous Camperdown Country Park Wildlife Park and Golf club and it s just a short drive into Dundee the recently crowned UNESCO City of Design. Satisfy your culture cravings at the Dundee Contemporary Arts Centre and McManus Galleries or explore Captain Scott s Antarctic ship the RRS Discovery and the Dundee Science Centre. Broughty Castle and Glamis Castle are both just a short drive away. All rooms feature a comfy king size bed with four plump pillows and a cosy duvet. Guests can enjoy a wide variety of food and drink choices within easy walking distance from this hotel. Early/Late Check-In/Out Service if you re looking to make the most of your day we can offer an Early Check-In service from 12:00noon and a Late Check-Out Service until 2pm so you have more time to relax - cost is �10 per service per room subject to availability - bookable direct by telephoning the hotel. We are a pet friendly hotel and allow up to 2 domestic pets per stay. This is at an additional charge of �20 per pet per stay. Please contact LateRooms to arrange this to be added to your booking and for further details on charges and terms and conditions. Please note that Guide dogs Hearing dogs and other animals to aid disability are exempt from charge. The Broughty Ferry is a family-run hotel located in the old fishing village of Broughty Ferry. It offers luxury rooms, a leisure complex and an award-winning restaurant. Free Wi-Fi is available throughout. The leisure centre has a gym, a solarium and a sauna. The hotel's restaurant offers Asian and European cuisine for the guests. The hotel also offers courtesy transport to and from both the airport and the local bus and train stations. The Hotel Broughty Ferry is located only 10 minutes drive from Dundee City Centre and is very close from the banks of the famous Silvery Tay. The V&A Dundee is 6 km away. Abertay Guest House is offering accommodation in Broughty Ferry. Among the various facilities of this property are barbecue facilities and a garden. The accommodation features free WiFi. The units are fitted with a microwave, fridge, a kettle, a shower, free toiletries and a wardrobe. The guest house provides certain rooms with garden views, and the rooms are fitted with a terrace. The rooms at Abertay Guest House are equipped with a seating area. Breakfast is available each morning, and includes continental and buffet options. Guests can take part in various activities in the surroundings, including cycling and fishing. Perth is 43 km from the accommodation, while Dundee is 8 km from the property. Edinburgh Airport is 92 km away. Just 2 minutes' walk from the beach, Stonelee Guest House is set in a three-storey Victorian building and offers modern amenities such as free WiFi, on-site parking and a games room. A flat-screen TV with DVD player is provided in each Stonelee room, as well as en suite facilities and garden views. Guests can also make use of the games room which features a pool table and darts board. Cooked breakfasts are served in the bright and modern dining area and are made to order. Local produce is used where possible and there is use of a kitchen on request. The centre of Broughty Ferry is a 5-minute walk away and includes a variety of bars, shops and restaurants. Public transport leaves from outside the property and numerous famous golf courses including St Andrews and Carnoustie can be reached within a 30-minute drive. The V&A Dundee is 7 km away from the property. A warm friendly atmosphere awaits you in this comfortable and spacious period home. Please note that the Vicarsford Lodge guest house is located 7 miles from St Andrews. The unique location of Vicarsford Lodge will ensure a picturesque stay. The Lodge is situated in an area literally surrounded by a number of nearby golf courses and peaceful beaches. You will find it very cosy in the winter months with the armchairs, sofas and log burning stove in the comfortable lounge. Alternatively, in fine weather you can relax and watch the world go by in the garden or glass sun lounge. Parking is available for guests, so bring the car and explore the nearby delights of St. Andrews and Dundee.